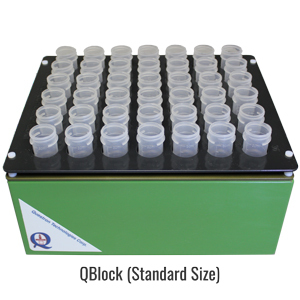 The QBlock digestion/heating block series provides a wide selection of options to choose from providing increases in efficiency of digestion and sample throughput. The Teflon coated graphite block and enclosure provides ability to produce contamination free results. Modular approach for touch screen base temperature controller helps increase life span of system and provides total control over 8 QBlock simultaneously.